//]]> ! 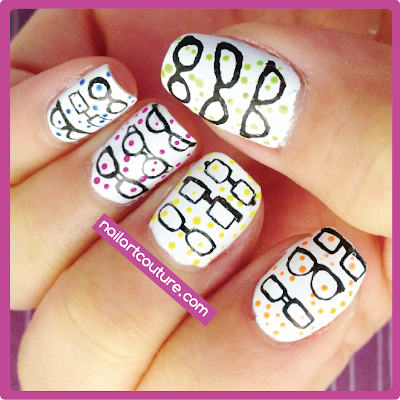 ★Nail Art Couture★ ! : Firmoo Glasses Review: Get your FIRST PAIR FREE! In the picture, I am sporting "#CP6061", which is $46.00 on their website. Firmoo simply gave me a code to redeem at checkout, so I had to go through the ordering process just like you would. I found the site very easy to navigate. You simply put in the required information, such as your name, prescription, and so on. I placed my order on April 13th and received my package on April 23rd! I am very happy with their shipping time and I didn't think it would come in that quickly! My frames came packaged in a cute black leather case. It also came with a wipe and a screws for the glasses. Since I have a rather narrow head and a flat nose bridge, these glasses sit very comfortably. Did you know there is such thing as "Asian Fit" because people like me don't have nose bridge. This glasses was well fitted for my nose! I have no problem with the lens and it is set to the prescription I need. Thank goodness my mom had a prescription form that had all the information I needed. My only complaint is that the "temple" and "earpiece" of the glasses is scratched, so you can see some white instead of a solid black. Yes, I googled "parts of a glasses". Anyways, the scratches aren't noticeable since it's on the inner part, so it's easier to hide. They also let me choose sunglasses to review and I picked "#OTO3543". They actually have a pretty good selection. I chose this one because of the dainty bow by the hinges. I usually gravitate towards sunglasses that have details on the temple. I usually like to try out sunglasses before I buy them, so it gave me a pretty good idea on how it would look on me. Not only do I have a growing collection of glasses, I also have a growing collection sunglasses. Luckily, I get most of my glasses in either Hong Kong or at an Asian optical store in Toronto where they either have a really good discount or you can bargain! I have to take my mom with me because she's an excellant bargainer! All free eyewear is complemented with 1.50 index single vision lenses. You just need to pay shipping. This offer is open to U.S., Canada, Australia, UK, New Zealand, etc. Click here to see all countries that they serve. 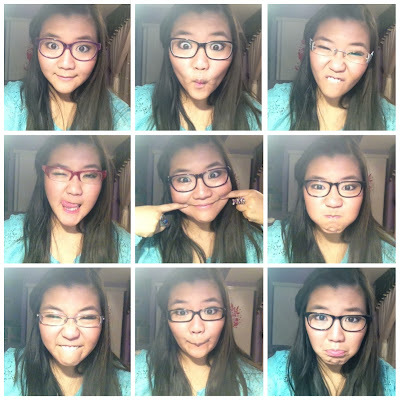 So here's some outtakes of me being silly. Haha this post is too cute :) I like the glasses you picked!! Haha Thanks! :) I like them too! the nails are so adorable!! Great job!! 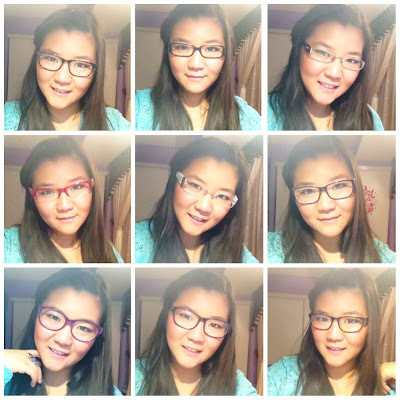 i want to have a glasses collection too! I'm not too sure. Sounds like a technical thing. Perhaps you can contact their customer service? Sorry! After reading your post I understand that you like only designer product that suit on your face. Firmoo brand is very nice brand for buying designer glasses online. I also buy a pair from there but I always preferring other branded sunglasses like Ray Ban, Gucci and Prada.